Before he commenced OK Bangaram, legendary director Mani Ratnam flew down to Hyderabad and narrated a script to Chiranjeevi and Ram Charan. Mani wanted to make an action film featuring Charan, but the project didn’t materialize as Charan felt that the script didn’t suit his image. 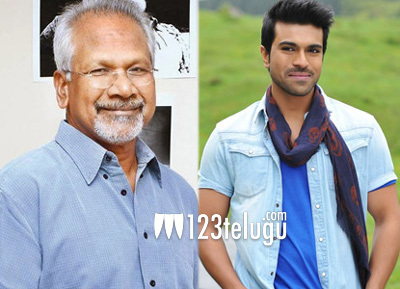 And since yesterday, there has been a strong buzz in a section of media and among fans that Mani Ratnam is planning to revive his project with Ram Charan after he wraps up Kaatru Veliyidai. Not many details about this most awaited combo are available at the moment. Keep watching this space until this speculation turns out to be true.